Crotaphytus collaris is a big, bold lizard. And beautiful, too. They’re typically found in dry, gravelly areas and we see them during hikes on warm days at elevations around 6000-feet. This one posed very patiently while we all took pictures. 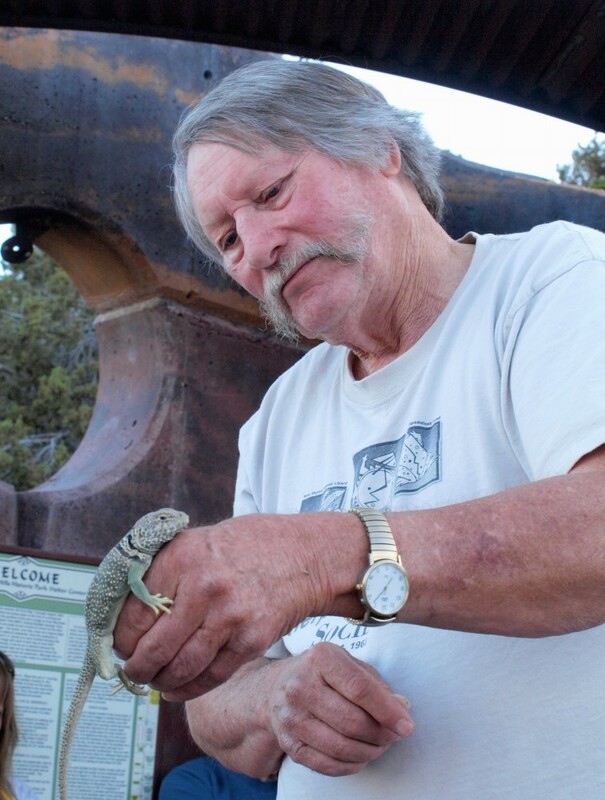 New Mexico has a wealth of reptiles and amphibians, especially lizards. 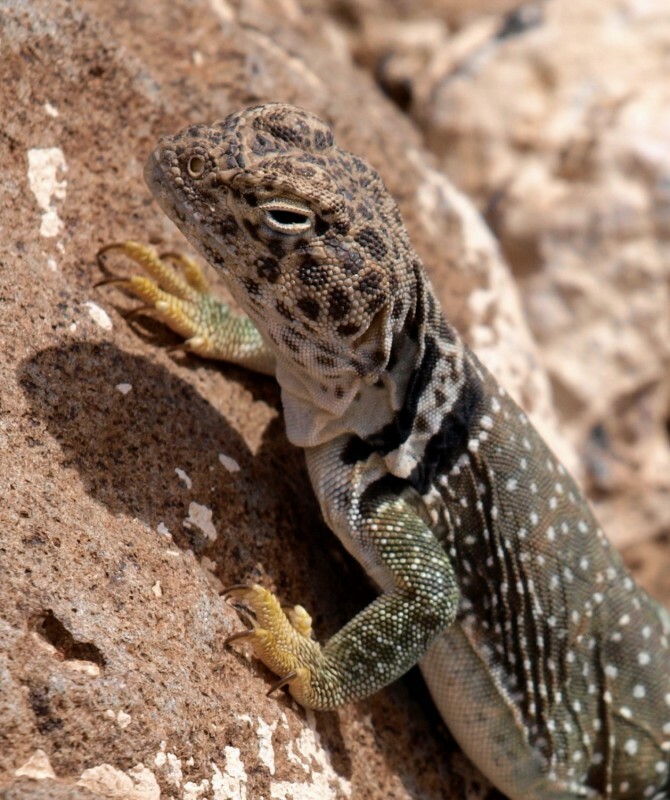 The New Mexico Herpetological Society performs surveys and gives public programs about these fascinating (and fast) critters. Make the time to attend one when you can. My thanks to Ted Brown and Bill Degenhardt of the Society for an entertaining evening last weekend at Cerrillos Hills State Park. This entry was posted in Critters, Flowers&Fauna and tagged herpetology, hiking, lizard, New Mexico, outdoors, wildlife. Bookmark the permalink.